How he found CrossFit . . .
"I played college American football for four years and near the end I realised that I couldn't play forever, so I wanted to find a way to output how competitive I was. I got invited to work out one morning at this thing called CrossFit, I'd never heard of it and so thought it couldn't be so bad. It sounded like a spin class so it sounded pretty cool. I showed up at 5am for some unknown reason and we did a push workout together, I had no idea what was going on because they didn't really explain it very well and so I probably looked like a dying fish. Then we rowed and they kept yelling at me to go faster which to me made no sense, but at the end the guy said that I should go and check out competing at CrossFit. 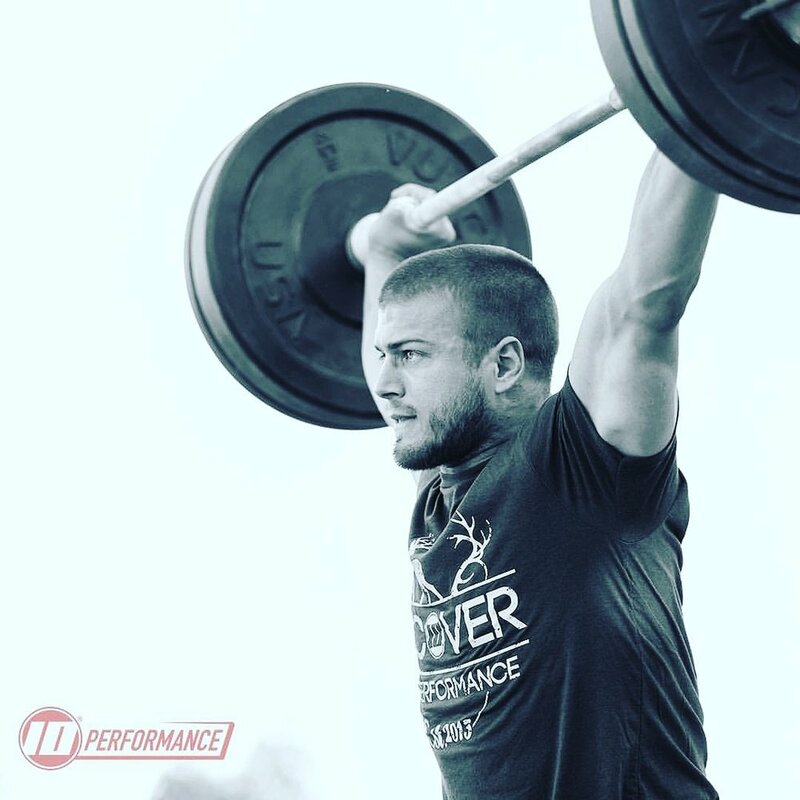 He said to go on Google, type in CrossFit Games and it will make a lot more sense to you, so I did that in the afternoon and fell in love with it, I said to myself that I wanted to make the Games and it looked awesome." What CrossFit is in a nutshell . . .
"I liken it to what is the meaning of life? Because it's really hard to explain. My best definition is that it's essentially the sport of fitness. You are testing how fit you are and our definition of fitness includes a lot of different areas, we are taking everyone's idea of fitness and we are testing to see who is the fittest across all these different domains. We're doing gymnastics, we're doing weightlifting, we're doing long-distance running, we are sprinting, we are swimming, we are biking, we are doing an obstacle course, we are doing all sorts of different things! So essentially we do all that and throw it into a competition with judges, that's what CrossFit is." Getting that lifestyle balance and his perception on body image . . .
"Good question, in terms of diet, I'm not a huge counter of macros and calories as most people are. I have a really high metabolism so I need to eat a lot and I have a wife who is an amazing cook so I don't really worry too much about my diet. That's me personally, it's different for every athlete. In terms of body image, to be honest, as long as I can function well I don't care what I look like. Obviously I don't want to function and move well but look completely out of shape, but I don't really care what I look like. If you take most of the men from the CrossFit Games and put them next to most of the women, usually the women look a lot fitter because they have leaner bodies. Some people let it affect them but I don't really care, as long as I am performing to the highest of my abilities." The best thing about being a CrossFit athlete . . .
"I think the best thing about the sport is the fact that you have community. I played college sports and it was awesome, I met a lot of people playing sports, but usually you only made friends with people that were on your team. In terms of CrossFit, essentially everyone in the world that is a male, that isn't me, is a competitor of mine when it comes to the regionals and the Games. However I have made so many good friends and met so many people from all over the world. There is no other sport, that I know of, where I am able to access such a community and meet so many folks. That's the best benefit I've found from the sport." Why people should take up CrossFit . . .
"For one, we should care about our bodies, I'm not saying that it should be obsessive, I'm not saying that you should obsess about your body image but I think you've been given a vessel to live in and you should take care of it. The second point is that it gives you another community to be a part of, most people are dependant on relationships and this gives you another output, which is a CrossFit family who you enjoy spending time with." Why he saw a need for faith in his life . . .
"I was raised in a Christian family so my testimony isn't necessarily as exciting as most people, but I was brought to Christ at an early age in third or fourth grade. I've been raised with the idea that God has given me, you, everyone, their own set of gifts and as it says in the Parable of the Talents in the Bible, we want to use them in the best way that we possibly can, in order to give the glory to God. If I've been given the gift of underwater basket-weaving then I better use my gift of underwater basket-weaving to give as much glory to His kingdom as I possibly can. Of course I just made that gift up and it doesn't exist, but it's kind of cool." Using his faith as a source of motivation . . .
"I would say that it's definitely motivating, I've realised that as I've gone on in my life, that I have this and I should use this. I wouldn't say that from day one I thought of that and said this is what I should be doing, but I've understood as I've moved through CrossFit more and more. Faith, should affect how you look at competing, you've been given this stage to show off your talents and therefore people are looking at you. Whatever stage you have been given to compete at, people are watching you, whether it's your friends and family, people far away, young children, people are watching and judging you, thinking what does Jacob have? Why is Jacob the way he is? Why is he or why is she different? Whatever the case may be." WANT TO LISTEN TO THIS INTERVIEW IN FULL?